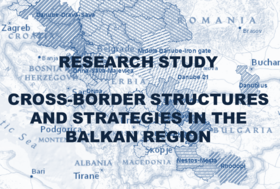 CESCI Balkans and AEBR center for Balkans were conducting a research study on Cross-border Structures and Strategies in the Balkan Region. This research study had a goal to encourage young researchers to develop their research skills and to develop new ideas in the field of cross-border cooperation. Each intern has its own research study which they will write for three months during their internship. Cross-border Structures in the Balkan Region, written by Sara Andjelkovic, Cross-border cooperation in the field of economy in the Balkan Region, written by Marko Slocer, Cross-border cooperation as a model for local community development, written by Petar Jeremic, Cross-border Strategies in the Balkan Region, written by Sofija Tanaskovic and Macro-regional Strategies in the Balkans, written by Isabell Reinhardt. Synthesis of the studies will be published soon and will be used as a database for further research needs and projects.